As the year comes to a close, we reflect on what we’ve accomplished: a trip to Haiti led to us taking on a water project which now is a much-expanded Rural Water Project from our friends at Peacework Medical, who had decided to stop working in Haiti. And this was the year that we funded the GTPE anti-sexual assault trainings in the south of Haiti, with plans to expand those trainings much further in 2016. So the question is why? Why focus on a country that no one really cares about in the middle of the ocean, thousands of miles away? The answer is simple: commitment. We said in 2010 that we would help in Haiti when we had no resources and no support…and we said as support began to come in that we would stay committed to the people of Haiti, even after it wasn’t cool anymore. Because regardless of the earthquake’s intensity, the writing was on the wall even two months later as people asked right and left back here at home, “Have they pretty much fixed things back up yet?” and all other sorts of similar comments about Haiti which led us to realize that the world psychologically NEEDED the earthquake to be finished and cleared up so that they could sleep at night, and move on to something else. If Haiti was still “broken” people wouldny in good conscience be able to move on. As soon as new disasters, events, and tragedies took the headlines, people started to forget about Haiti. There is always a disaster of the day to distract the masses. And it is challenging to remember which disaster was last week or last month especially when the media covers the newest and gloomiest exclusively and with wild abandon. In the midst of that, we decided to not lose our focus. 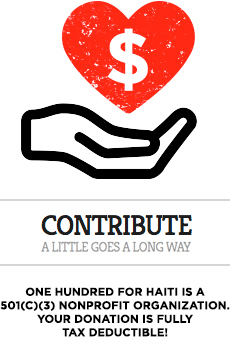 We made the choice to stay right in line with our goal from the start: to provide support for the people of Haiti. That is still true today. We have expanded our team to include more specialized participants. We have posted a needs list for ANYONE to download and then get in touch with us with how they want to help. We have definitely expanded with our team of volunteers leading the way. The world is filled with crises, from the refugee situation in Lesvos Greece, to poverty in Africa, to continual natural disasters and the earth responding to the torture we put it through. There are many places to put one’s attention. But in a world of distractions and immediate “like” glorification, it is far more satisfying to not rubberneck away from the task at hand, and instead to build relationships, focus a team, pinpoint one or two goals and then stay the course. The sense of satisfaction comes from working towards a common goal on behalf of appreciative people. Had we allowed ourselves to be distracted, or to lose our sense of commitment, then Haiti for us would have become yet another in a long list of situations around the world which are paid attention to for as long as a news cycle lasts before something shiny catches the attention elsewhere of a viewing audience always in need of a new distraction. Thankfully, that didn’t happen. We are here still, and we are here to stay. We appreciate your support. Happy holidays and thank you all for what you do, what you have done, and what you will do to support our vital and much needed work. This is a commitment that we are going to keep together. Welcome to our friends from Women for One! We want to thank our friends at Women for One for featuring us on their homepage for the month of December! Women for One is a global community of women and their supporters devoted to sharing their personal truths and building community in the process. 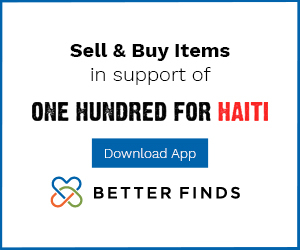 We have been fortunate to have had their support for some time now and we appreciate them sharing information about One Hundred For Haiti to their hundreds of thousands of friends. Yes you read that correctly: HUNDREDS of thousands! We are so very appreciative of them and their global effort to empower women and have their individual voices be heard. If you’re here from Women for One, please be sure to check out information on the GTPE trainings which is a consortium of social workers, government officials, local authorities, teachers, and concerned citizens who had planned and had a difficult time implementing an education/training program to go into rural communities and train people about assault and what can be done about it. Before our involvement the project was fully stalled due to lack of funds. Now, in the last few months alone, we have paid for the training and education of almost a thousand people with thousands more on the way. This makes for safer communities, and for protected children.